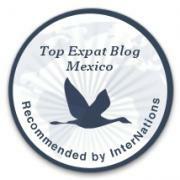 Gratitude for Life in Mazatlán | ¡VidaMaz! A lovely read, thanks for sharing your always welcome thoughts. So grateful for all of the above…..we are truly blessed! Thanks for your pictures and discriptons…..living the dream! What better way to live life than to feel one is “living the dream”? Great on you! Me encanta leerte y como mazatleca te agradesco de corazon lo bonito que te expresas de nuestro mazatlan!! Agradecemos a ustedes, que pertenezcan aquí, porque nos hayan dado la bienvenida a estas hermosas tierra adoptivas! Saludos cordiales y gracias por su comentario! Dianne, I think you’ve covered just about everything there is to be grateful about in Mazatlan. I could add Pacifico lol. We have been coming to Maz since 2008 and miss it before we’ve even left. So I am grateful that we can afford to visit each year, the friends we’ve made, the experiences we’ve had, and bloggers like you who let us live vicariously through your posts when we can’t be here. Pacífico, Los Osuna agaves… indeed! I remember that feeling of missing this place before we’ve even left. That’s how we got here full time, lol. Thank you for sharing your joy! Oh Dianne, you nailed it. You are a real treasure. I am certainly thankful for you! Are you back yet? How in the heck did I see you in Nayarit (FB) when I haven’t yet seen you in Sinaloa?? Fantastic post and amazing photos! Thanks! Thank you! Glad you enjoyed it. We are blessed. Great Post! We are so thankful we have found Mazatlan. Always love your positive thoughts and your beautiful pictures. Thank you and we are glad you are here! about 10 years ago. My Son & His Wife spent their Honeymoon in Mazatlan and other areas of ” The Baja”. Glad to know you and your son love Mazatlán. We are actually on the west coast of the Sea of Cortez, across from the Baja.